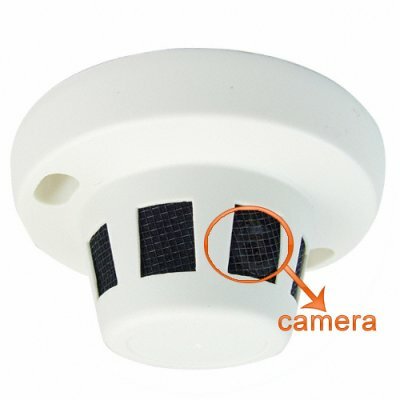 Successfully Added Smoke Detector Style Camera (Hidden Security Videocamera - PAL) to your Shopping Cart. Smoke Detector Style Camera (Hidden Security Videocamera - PAL). Smoke detector style security and surveillance video camera cleverly disguised as a standard ceiling mounted smoke detector. This product uses PAL color system.